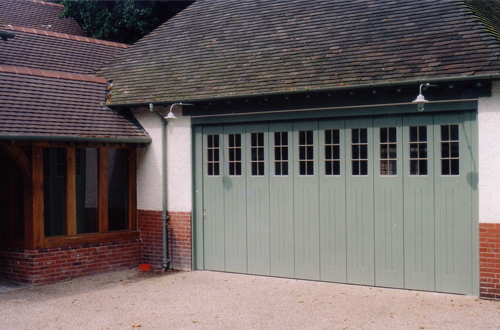 Generally, garage doors in the UK are typically steel, one-piece up and over doors. These doors became available in the 1960s, meaning doors prior to this time were much more basic in operation and had a much different appearence. Recreating a 'period style' garage door has become increasingly popular over recent years, encouraging manufacturers to develop garage doors with period features that are also equipped with modern mechanisms. Despite the surge of modern-build homes throughout the country, the style of a classic period door is timeless and will always remain as a desirable entrance for your vehicle, espeically when installed in a building with a classic aesthetic. Almost all garage door types can now offer a design to recreate the style that you might see on a 16th Century coach house in Stratford, or a 17th Century property in The Cotswolds. An ideal example of a modern door showing period features is manufactured by Hormann: the LTH Hemlock 405. Although these doors may appear as a traditional side-hinged door (available in many standard and purpose-made sizes), they are in fact timber sectional doors that rise vertically. The handles and hinges featured are put in place merely for decorative purposes, creating an authentic and effective facade. This door truly epitomises the potential of a modern day garage door's technology and appearence. On the other hand, if you are browsing for a genuine period style garage door, look no further than traditional side hinged timber constructed doors. These doors are available in a choice of standard styles and timber species, which can satisfy most requirements. Most convenient for owners whose purpose of their garage is other than to store a vehicle, side-hinged doors can have various door arrangements of not only a 1/2 split, but 1/3 and 2/3 splits also, useful as only one door leaf needs to be opened for pedestrian access. Please note: price variations between timber side-hinged garage doors can be significant, however this depends on the specification of the door, and particularly on the type of timber that is selected. With this in mind, Cedarwood is always a reliable choice, providing a fantastic material for many timber doors. Whilst it may be a lightweight choice, Cedarwood offers a number of useful properties, including resistance to the variable UK weather. The light colour of the wood can also be stained to almost any colour that you may require, and is always knot-free, meaning there will be no longer-term issues with knots falling out of the timber. Side hinged timber garage doors are only practically manufactured up to 3048mm wide (10 feet), as door panel weight becomes a concern for sizes beyond those measurements. Doors have to be constructed more like gates with heavier hinges, thicker timber and more bracing if sizes over 10 feet are required; it is possible, but not advised. Planning and local restrictions or listed property requirements can all be catered for with a whole range of different timber choices such as Oak, Cedar, Larch, Mahogany, Hemlock, Pine, Douglas Fir and Iroko to name a few. Although side-hinged doors may be perfect for users who's garage sole purpose does not revolve around the use of their vehicle, a round the corner garage door can be a fantastic alternative if you access your garage frequently via vehicle and on foot. A Rundum Meir side sectional timber garage door (see left) can be operated by remote control and create a convinient means of entering your garage - partial opening for pedestrian access is available by pressing a different button on the 2 or 4 button transmitter. The timber is available with different designs and colours, enabling you to harmonise the door with the characteristics of your property, whilst also optimising technology to allow for ease of access. Being able to access one's garage via foot with only a fraction of the door needing to open is an appealing factor, and many other sliding and folding type doors also give this very useful and secure method of access. Not only do Hormann manufacture garage doors with a pedestrian door within it, Silvelox also have an exlusive, bespoke range with a similar feature. 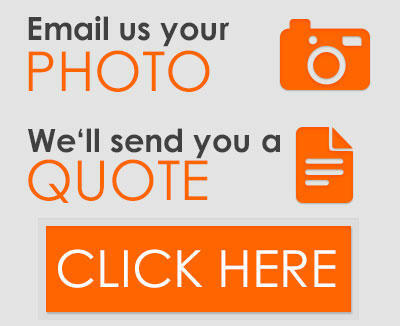 The Garage Door Centre has supplied and installed thousands of garage doors that consist of special designs and constructions over the last 30 years - we pride ourselves on offering solutions to even the most challenging of requests. For full details on all the period style garage doors that are available, or for help with any plans you may have for an individually designed garage door, call us for free on 0800 525442 - we are waiting for your call! 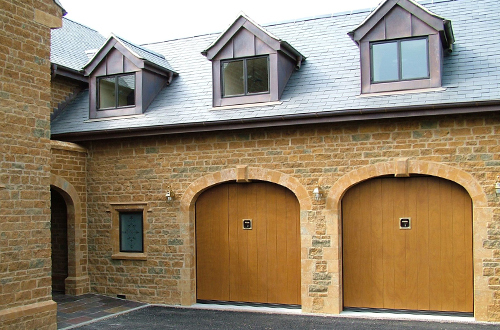 To see our huge range of garage doors, visit our Northamptonshire showroom, based in Wellingborough, or alternatively reach us via our Contact Form.